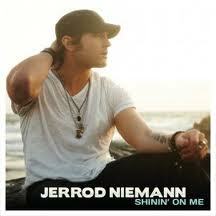 HomeSingle ReviewsSingle Review: Jerrod Niemann, "Shinin' on Me"
Single Review: Jerrod Niemann, "Shinin' on Me"
I’ve got an idea about how we can stop the bleeding. Let’s make it mandatory for all new country singles top selling herbal viagra to have arrangements like the ones on Jerrod Niemann records. While we’re at it, let’s keep Zac Brown Band on retainer, too. At least that way all of the songs will be interesting to listen to, even if the lyrics are banal and the vocals can’t be saved by Auto-tune. I’d be happy just listening to Jerrod Niemann’s new single as an instrumental, but thankfully, Niemann also has a laid-back lyric and personable vocal performance to go with the cool instrumentation. It’s got all of the necessary components of a 2012 country single that’s actually listenable. I’d say he cleared the bar by a wide margin, but it’s so far underground now that it’s impossible to measure the distance. Single Review: Don Williams featuring Alison Krauss, "I Just Come Here For the Music"
Eh… I kind of thought the production sounded like a karaoke track. …breezy, summery – what else can you ask from a summer song. this one is quite a smash, actuallly. after the third listening i still don’t know what he’s goin’ on about – and it doesn’t matter at all. forgettable rarely sounded any better.